Soil, climate, geography, geology. They’re all part of the terroir that gives each of our wines its distinctive character. We carefully select only the finest growing locations in California’s premier wine regions. Vineyards whose terroir helps produce the premium grapes necessary to make the wine that carries our name. 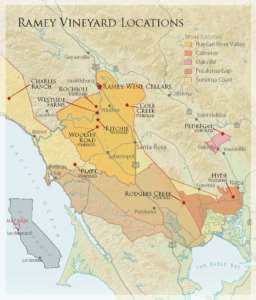 Please click here to download our vineyard map.